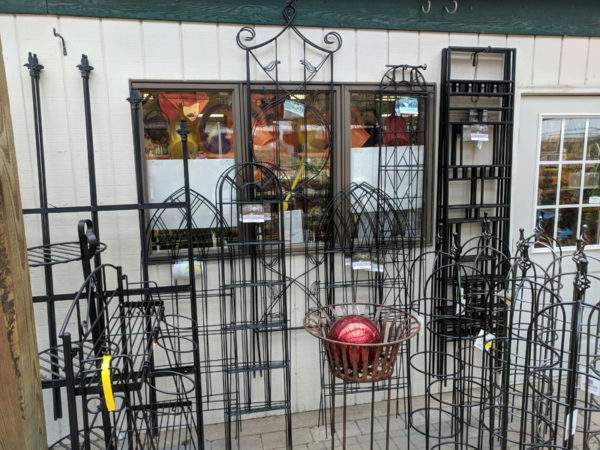 We stock an assortment of both wooden and metal trellises in varying shapes and sizes. Below you will find pictures of some of what we offer. 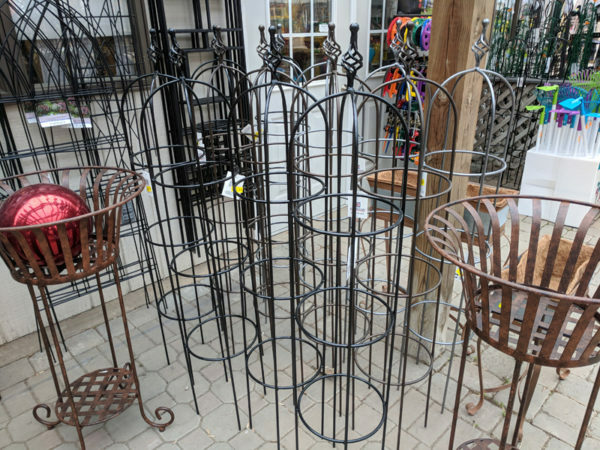 We also offer a handful of cedar arbors from Arboria that we offer delivery and setup for. 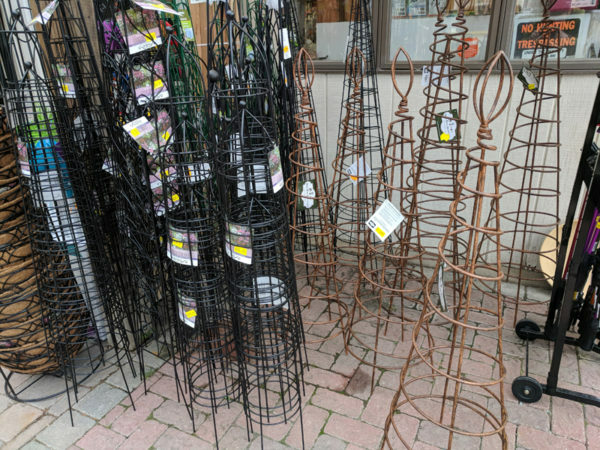 Finally, we have an assortment of metal obelisks for decorative use and for training climbing plants.